Explore / Does CBD Show Up On A Drug Test? CBD is undoubtedly growing in popularity, and is legal for purchase and possession in all fifty states. Many people choose to consume CBD for a variety of conditions, from chronic pain to depression to even cancer, and its use is only growing more widespread. 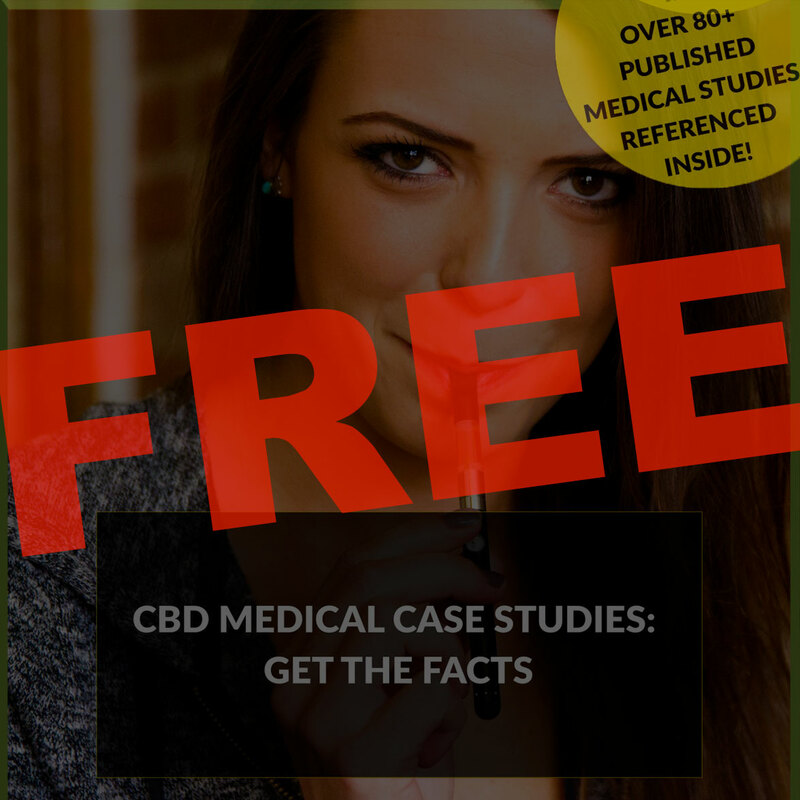 While more studies are needed to determine the exact mechanisms by which CBD acts on the body, anecdotal reports from consumers are promising. Since CBD is (usually) derived from the hemp plant (a distinct sub-classification of cannabis) and is a cannabinoid like its psychoactive counterpart THC, it’s reasonable to wonder if it would cause you to fail a drug test. Here, we’ll discuss the science of modern drug testing and whether your dose of CBD could put you at risk for a false positive. Drug tests are calibrated to search for specific chemical compounds, not a broad class of different but similar chemicals. For this reason, there is no drug test currently available that tests for cannabinoids at large, only specific compounds like THC and its main metabolite (or chemical byproduct), THC-COOH. This is good news, because it means drug testing companies have to be specific about the chemical compound they’re searching for. Since THC is the chemical that gives cannabis its psychoactive properties, it is the compound that’s tested for by modern drug screens. Some tests, like mouth swabs, hair tests, and blood tests, look for THC itself, while others, like urinalysis, look for THC’s main metabolite, THC-COOH, which sticks around much longer than THC. However, there is currently not a test available that tests for CBD. Why, you ask? Well, it’s pretty straightforward: Since CBD is non-psychoactive, it won’t get you high no matter how much you smoke. Consequently, there’s very little interest in testing for it or, for that matter, legislating against it. It’s just not a thing at this time. So, there is no drug test currently available that will yield a positive result from CBD alone. Sounds good, right? Mostly, but it’s not quite that simple for everyone: there are some things you should know before considering yourself fully in the clear. We need to talk some specifics about where your CBD comes from, how it's concentrated, and how your body metabolizes it, as well as some things to consider if you’re taking CBD at extremely high doses. In order to know if your CBD of choice will show up on a drug test, you need to know exactly where it comes from. Farm Bill-compliant CBD is made from industrial hemp, which is legally required to contain 0.3% THC or less. Keep this number in mind, as we’ll refer back to it later. CBD that’s derived from hemp is completely legal because of its extremely low THC content, which makes it essentially impossible to abuse. Most commercially-available CBD is hemp-derived, but you should be sure to check with the manufacturer. They should be very open about their source for their organic material—if they aren’t, it’s a big red flag and a definite sign to purchase your CBD elsewhere. However, if you live in a state where cannabis is fully legal (lucky you! ), you should watch out for CBD products derived from marijuana. Sometimes called Rick Simpson Oil, this form of CBD contains much higher levels of THC, giving it psychoactive effects and making it a liability if you’re subjected to a drug test. While this type of full-spectrum extract can be beneficial to people suffering from serious illnesses like cancer or multiple sclerosis, its higher THC content (usually 6% or higher) means that it will show up on most drug tests, even if it contains more CBD than THC. So far, it looks fairly simple: hemp-derived CBD is (theoretically) undetectable on a drug test, while marijuana-derived CBD will yield a positive result and should be avoided by people who routinely undergo drug screens. For most of us, it’s that easy. However, it may not be quite that simple: there is evidence to suggest that, as full-spectrum hemp extracts are concentrated, the trace amounts of THC they contain may become present at higher concentrations as well, which makes the situation a bit murkier. To illustrate this, we did some basic math to replicate the concentration of a 500 mg bottle of CBD tincture. Assuming the sample of industrial hemp flower used to make the tincture weighed 2.78 g (or 2778 mg), and assuming it was composed of 18% CBD and 0.3% THC (pretty standard percentages for hemp), the concentration of hemp extract needed to yield 500 mg of CBD would contain about 8.33 mg of THC. This is about 1.6% THC, much higher than the theoretical 0.3% of the starting material. In this example, a 25 mg dose of our theoretical CBD oil would contain about 0.42 mg of THC. This may not be enough by itself to trigger a false positive, but if you're using your oral dose of CBD in conjunction with other forms, such as vaping or dabbing, those trace amounts of THC may add up to become detectable in your system, causing you to risk failing a drug test. 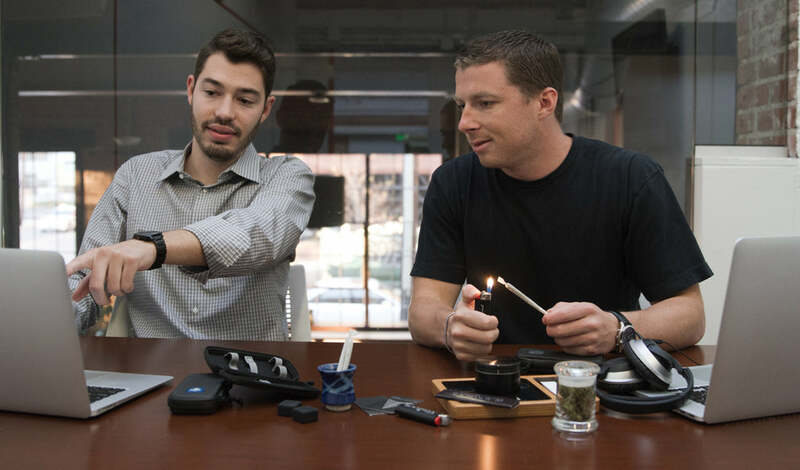 For this reason, if you're worried about passing a drug test, it's best to look for options that are batch-tested by an independent laboratory and either display their THC content clearly in the analysis or are shown to contain no THC whatsoever. For most of us, 15-50 mg of CBD daily is enough to treat a wide variety of symptoms and conditions, and that’s wonderful. However, it isn’t the case for everyone—for some patients struggling with aggressive illnesses like cancer, a much higher dose is required in order to be effective. While it’s uncommon, a person taking 1,000 mg of CBD or more per day could, theoretically, test positive for THC on some drug screens. This is where that 0.3% figure comes into play: a 1,000 mg dose of hemp-derived CBD contains approximately 3 mg of THC. This amount wouldn’t be anywhere near what’s needed to feel any psychoactive effects, but it could be detected by drug tests with an exceptionally low threshold for THC, about 8-11% of tests. And, as we demonstrated earlier in our concentration example, full-spectrum extracts could theoretically contain 16 mg or more in a 1,000 mg dose, which would definitely cause you to fail a drug test. You could opt for pure CBD isolate to either dab or mix with MCT oil to make your own tinctures if you’re concerned about this -- you may miss out on the synergistic effects of other cannabinoids, but you’ll still get all the benefits of CBD with none of the risk of THC contamination. We should note that 1,000 mg is a BIG dose: to put it in perspective, you’d need to take 40 (forty!) 25mg CBD softgels (that’s one and a third bottles) or an entire bottle of 1,000mg CBD tincture in a single day to reach this dose, and that dosage does not reflect the majority of CBD consumers. However, if you’re using CBD to aggressively treat an illness, you may need a dose this high, and that’s okay! That said, you may need to be cautious if you’re subject to drug testing. Just in case, we have multiple articles detailing how you can pass a drug test on short notice. We need to preface this by saying that this is a single study whose results have not been replicated by another research team. We also have questions about the methodology, which we’ll get to in a moment. That said, we still felt that, in the interest of thoroughness, we should address it. That study can be found here. For this reason, we’re skeptical. That said, if the findings of the study are true, it would mean that no orally ingested CBD product can guarantee that you’ll pass a drug test, which would be a major problem for the growing number of people who take CBD orally as part of their health regimen. We’ll let you decide how much stock to put into this (as yet unconfirmed) finding; if you’re really concerned about it, steer clear of oral products in favor of vaporizing or dabbing your CBD. CBD is not tested for by modern drug screens and, by itself, will not cause you to test positive for THC. The key there is by itself: if your CBD is made with high-THC marijuana instead of hemp, or is a highly concentrated product made with full-spectrum hemp extract, you could risk coming up positive. It’s important to know the source of your CBD, as well as the THC content of the individual products (this is why we stress the importance of purchasing products that are batch-tested for purity and quality) if drug testing is a part of your reality.